The eo a7400 Ultra-Mobile Tablet PC by TabletKiosk is designed to enhance productivity for mobile professionals by providing a combination of compatibility, versatility and Enterprise-grade security that allows work to be done out in the field as safely and efficiently as back in the office. Compatibility with Microsoft Windows Professional enables you to run all the same applications on the road, that you run back in your office. High-speed data transfer and connectivity via USB 2.0, Gigabit Ethernet, 802.11bgn wireless networking or 3.5G WWAN provide the necessary versatility to be able to work efficiently from nearly any location. And Enterprise-grade data security with TPM v1.2 enhanced encryption makes working remotely as safe and secure as possible. To maximize R.O.I. and productivity, the eo a7400 uses many of the same accessories as the Sahara Slate PC i500 and Sahara NetSlate a510 Tablet PCs. This means if your company standardizes on TabletKiosk technology, regardless of processing power and form factor, you can share Business Smart Feature Expansion Modules (such as the Mag Stripe Reader and 2D/1D Barcode Scanner), battery packs, shoulder and carrying straps, as well as battery chargers, AC adapters, and more. This interoperability of the different Tablet PC platforms significantly reduces the cost to equip and maintain systems in multiple installations and usage scenarios, thus boosting your bottom line and worker productivity. Additionally, as a true enterprise-class device, the eo a7400 Ultra Mobile Tablet PC is durable enough to be used every day, all day, without the extra careful handling that typical consumer tablet devices demand. It also features a product life-cycle that is two to three times longer than a consumer tablet so you don't have to worry about system availability or accessory compatibility over the duration of your business project. And of course, as with all of our Tablet PCs, the eo a7400 is backed by TabletKiosk's three stages of quality control and world-class customer support provided by our knowledgeable and courteous in-house staff. The Intel Atom N2600 mobile processor delivers a level of processing performance that is almost 2x greater than the Atom processor in our previous generation of the eo Ultra-Mobile Tablet PC. That translates into potentially huge time savings, and as we all know, in business time is money. 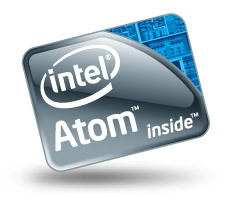 The Atom N2600 provides two complete execution cores in a single processor package. It's like having two CPUs in one computer. Two dedicated physical cores help operating systems and applications deliver additional performance, so users can experience better multitasking and multithreaded performance across many types of applications and workloads. We're talking about Intel Hyper-Threading on the Intel Atom N2600 processor. 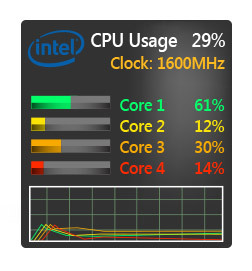 Hyper-threading delivers two processing threads per physical core for a total of four threads for major computational throughput. With Intel HT Technology, highly threaded applications can get more work done in parallel, completing tasks sooner. With more threads available to the operating system, multitasking becomes even easier. This amazing processor can handle multiple applications working simultaneously, allowing you to do more in less time. This isn't just some pumped up cell phone CPU. This is a true Intel PC processor. Genuine Microsoft® Windows® 7 is the easiest, fastest and most tablet-friendly version of Windows yet. Better ways to find and manage files such as Jump Lists and improved taskbar previews help you speed through everyday tasks. Improved handwriting recognition, speech recognition and expanded tool-tip functionality for touch as well as pen based input makes using a Tablet PC easier and more efficient than ever before. Faster and more reliable performance means your Tablet PC works just the way you want it to. And great features like Windows® Media Center and Windows® Touch make new things possible. Windows® 7 brings full desktop PC compatibility to the Tablet PC platform with full application support for a wide range of software applications. 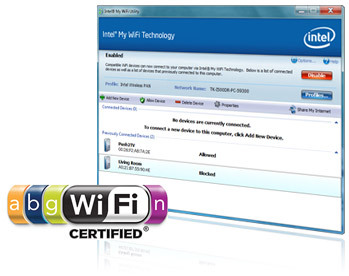 Run all the software you use on your desktop PC on a Tablet PC that you can take anywhere. Microsoft® Office 2010, Visual Studio 2010, Internet Explorer 9, Intuit® Quickbooks Pro, Adobe Photoshop® CS5.5 and more. Running Windows 7, you'll never need to spend your time shopping around for ways to get work done with apps. Windows® 7 Professional provides a powerful combination of innovation and improved performance, delivering the Tablet PC experience that customers want. Designed to meet the needs of small and midsize businesses, Windows® 7 Professional is fast, reliable, and enables effortless and a more secure connection to company networks with Domain Join. 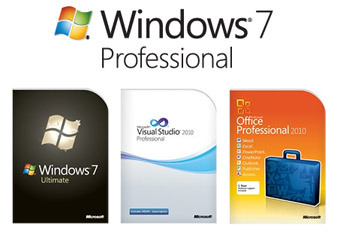 Windows® 7 Ultimate adds multiple language support and the added protection of BitLocker full drive data encryption to all that Windows® 7 Professional has to offer. Windows® 7 Ultimate is the smart choice for multinational or security sensitive corporations. Get to know Windows® 7, and see how it can simplify everything you do with your Tablet PC. The Intel® Centrino® Advanced-N 6200 dual band (2.4 GHz and 5 GHz), 2x2 adapter delivers up to 5x greater bandwidth (up to 300 Mbps depending on network infrastructure) compared to 54 Mbps 802.11 a/b/g solutions, extended range, more consistent connectivity and unique Intel features including Intel® vPro™ and Intel® My WiFi Technology support. Greater Network Compatibility: Dual Band allows connectivity at 2.4 GHz to access older 802.11b/g networks and 5 GHz for higher speeds and greater network capacity. A broad range of support for all popular security protocols and Cisco Compatible Extensions v4 means connecting to a wireless network is smooth and easy. Up to 2x greater range: Featuring MIMO, diversity and support for the multiple antennae inside the Sahara Slate PC, reduces the number of “dead zones”, network reconnects, and dropped data packets; dramatically improves connectivity and enables more consistent coverage in the enterprise. Low Power: Optimized power modes (sleep states) reduce power consumption during periods of inactivity enabling long battery life for greater mobility. Bluetooth® technology is a short-range wireless radio technology that allows a broad range of electronic devices such as keyboards, mice, headphones and printers to connect and communicate wirelessly over distances of up to 10m. 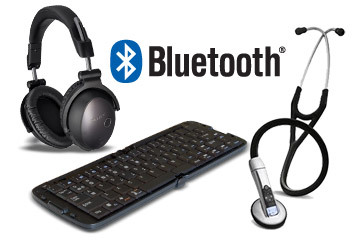 Integrated Bluetooth means smart, wireless connectivity from your Sahara Slate PC to a wide variety of peripherals, even stethoscopes, for ultimate mobility and flexibility. Trusted Platform Modules (TPM) helps proactively establish more trusted relationships for remote or local access through secure user authentication and machine attestation. 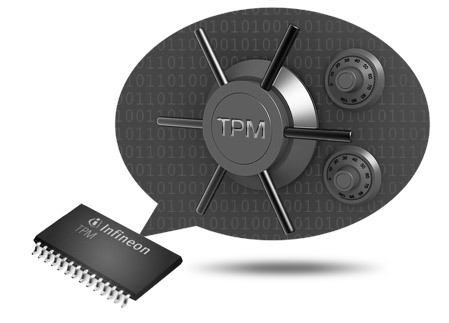 TPM chips protect encryption keys and digital signature keys to maintain data confidentiality and integrity. TPM chips are designed to protect key operations and other security tasks that would otherwise be performed on unprotected interfaces in unprotected communications. Especially important, TPM chips are specifically designed to protect platform and user authentication information from software-based attacks. They are designed to enhance platform security beyond the capabilities of software-only solutions. Pair the a7400 with Microsoft® Windows® 7 Ultimate and the BitLocker Full Drive Encryption technology will use the TPM to generate and store its key to make your data even safer than with the software alone. TPM solutions can help play a strong role in assuring compliance with the Health Insurance Portability and Accountability Act (HIPAA) to protect medical records, as well as Graham-Leech-Bliley, Sarbanes-Oxley, and other regulations that impose strict privacy and security requirements. As a true PC, the eo a7400 Ultra-Mobile Tablet PC features an array of standard Input/Output ports that are critical for real-world business productivity. These include both a full-sized USB and MiniUSB 2.0 HighSpeed ports, 10/100 Ethernet, standard 3.5mm stereo audio in and separate 3.5mm stereo audio out, and a media card reader that supports SD/SDHC/MMC/xMMC/MS Flash memory cards. Cameras, smartphones, audio microphones, stereo headphones, external hard drives, and corporate networking switches can all be hooked up to the eo a7400 Ultra-Mobile Tablet PC... many simultaneously! Tablet PCs with touch screens and digitizers offer a more ergonomic "on-the-go" computing experience than a standard laptop. Due to their unique form factor, slate-style tablets with these input screens reduce the space required to operate the computer when compared to systems using a traditional mouse, trackpad or keyboard. In addition, they offer a more natural and intuitive user interface experience, especially while standing up or walking around. Active digitizers use a pen for input which offers mouse-like pointer interaction and support for Digital Inking Technology's highly accurate handwriting recognition and signature capture. Touch screens work simply with the input tool you've been using since you were born—a finger—allowing you to point to and tap on whatever you want to use. The Sahara Slate PC can be equipped with either of these screen technologies or both together in an intelligently designed panel that automatically senses which type of input you want to use and switches modes automatically for maximum convenience and efficiency. 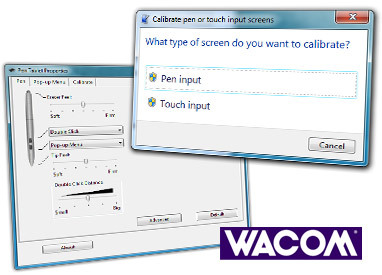 The active digitizer for pen input on the Sahara Slate PC is manufactured by the world's leader in pen computing technology, Wacom. These digitizers are highly accurate, compatible with all leading imaging and design software, and are the number one choice of tablet input for artists and designers worldwide. 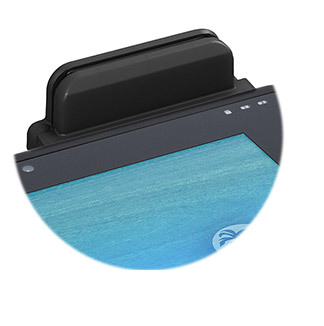 Additionally, Wacom electromagnetic active digitizers do not require a battery powered pen to operate—like some other manufacturers' digitizers—which further supports true mobility in the field. Digitizers are a superior solution for detailed drawing, handwriting recognition and signature capture, and support adjustable pressure sensitivity for total flexibility. Additionally, the a7400 series are the available with a dual mode screen that features both an active digitizer along with either a passive resistive 5-wire touch screen (for maximum input flexibility and usability) or a projective capacitive touch screen (that supports feather light touch input and multi-touch capabilities). This means that you can standardize your installation on one Tablet PC platform and outfit each system with the type of screen that best fits your users' specific needs. Unlike consumer tablets that offer embedded, non-removable batteries, the Sahara Slate PC i500 uses two user-replaceable and rechargeable Lithium-Ion batteries that are hot swappable. This means not only can you potentially run your a7400 continuously for a virtually unlimited amount of time, you don't even have to power down or put the system into hibernation mode to swap out used batteries for fresh, charged ones. Just like with a digital camera, pack some extra batteries with you on the road and you'll never have to worry about your system powering down at a critical point on your job, saving time, effort and maximizing productivity. Extra features and peripherals used in specialized industriessuch as hospitality, retail sales and healthcarecan really drive up the expense when purchasing a computer. Additionally, what works for one company might not work for another. So why should you pay for something you'll never need or use? That's why TabletKiosk created its Modular Expansion System a few years ago and has migrated these same peripherals over to the Sahara Slate PC i500, Sahara NetSlate a510 Tablet PC and now to the new eo a7400 Ultra-Mobile Tablet PC. With TabletKiosk's Modular Expansion System you have the option of integrating the functionalty you need via our line of Business Smart feature accessory modules such as a Magnetic Stripe Reader, or 2D/1D Barcode Scanner. Additionally, the specifications of the Modular Expansion port are available, at no cost, to partners who want to create their own custom modules. This means that even companies with a need for highly specific functionality can use an eo a7400 to get the job done. The eo a7400 Ultra-Mobile Tablet PC comes equipped with both a front facing 2MPixel front facing digital camera that is compatible with Skype for teleconferencing and a 5MPixel rear facing camera that is Indispensable for documenting details while out in the field either via still images or video. 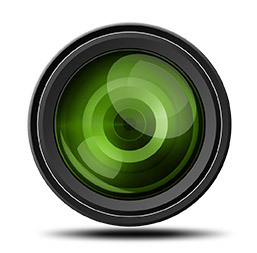 For added versatility and privacy protection, the cameras can be turned off in the system's BIOS which in turn can be password protected so unauthorized users can not turn them back on in order to comply with various corporate and government requirements. As one of the original pioneers of true tablet technology, TabletKiosk has been selling enterprise class, slate-style Tablet PCs since 2003. The eo a7400 Ultra-Mobile Tablet PC represents the fourth generation of the eo brand. As enterprise class devices, eo Ultra-Mobile Tablet PCs are exceptionally stable and are designed to run reliably for many years. The average product lifecycle of a TabletKiosk device is 36 months (by comparison, the average lifecycle for many consumer devices ranges from 6 18 months). That means that if you deploy TabletKiosk systems today and decide to purchase additional units at a later date, you'll still be able to get the same model, minimizing additional IT expenses integrating and testing a whole new platform. All eo Ultra-Mobile Tablet PCs undergo stringent quality control from the day they are originally built to the day they are shipped to the customer. This starts at the factory, where they are fabricated and then hand-assembled. Then, before leaving the factory, all units are subjected to both a hand inspection and 24 hour burn-in testing. They are then inspected again by TabletKiosk's Quality Control (QC) staff in Taiwan before they are shipped to our warehouse in the United States. Once in the US, all Tablet PCs are inspected for shipping damage and then configured to exact customer specifications. The units then undergo a final QC test before being packaged up and shipped through our authorized distribution channel. Should customers encounter any technical issues with their Sahara Slate PC, they can call TabletKiosk's technical support team located in the corporate offices in Torrance, California to obtain assistance from a knowledgeable and courteous company employee. Support personnel work on TabletKiosk products, and only TabletKiosk products all day, every day. TabletKiosk does not outsource any of its support to third party help desk services. At TabletKiosk, our goal is to provide you with stellar, first class support for an excellent overall customer experience.